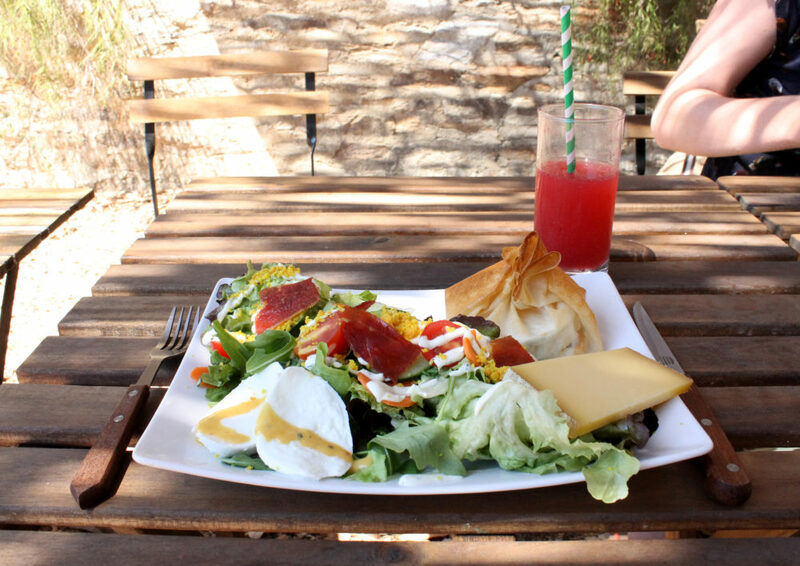 Take a delightful break at the Café des Jardiniers restaurant, where your taste buds are in for a treat. The Chef and his team will make you welcome you out on the terrace in the heart of the Gardens and you can taste their cuisine inspired by the Jardins des Méditerranées and elsewhere. 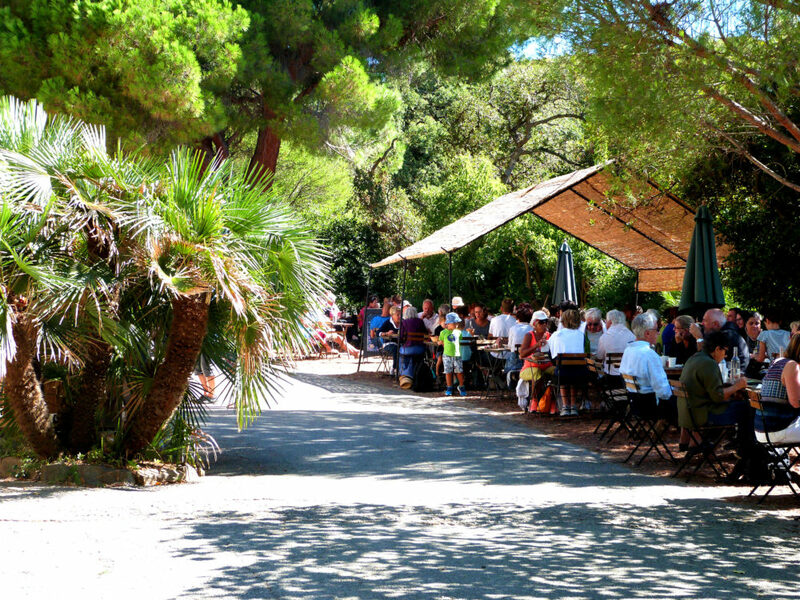 The Café des Jardiniers is currently open every day. From midday or for refreshments anytime during the day (up to one hour before the Gardens close). Tel: +33 (0)4 98 04 44 00. 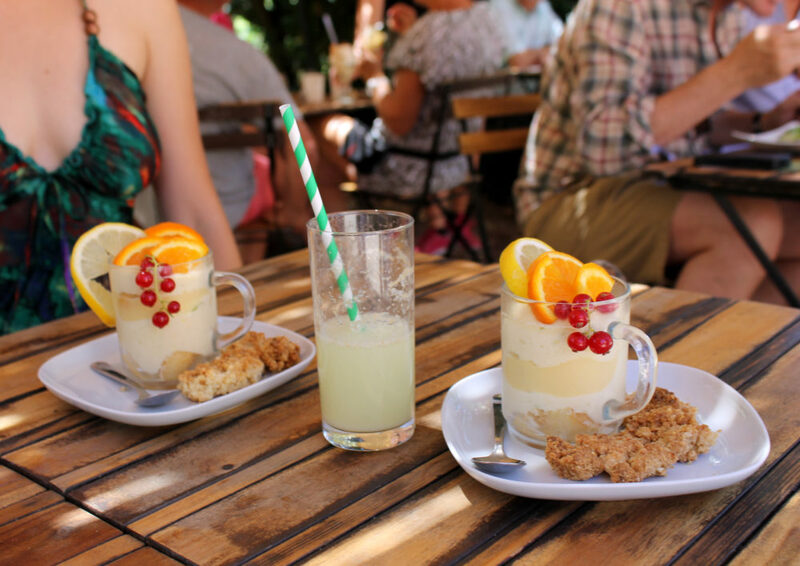 A ‘culinary repeat trip’ to the Jardin des Méditerranées. In an environmentally responsible approach in line with the management principles of the Domaine du Rayol, Frédéric DHAUSSY works with fresh, seasonal, locally-sourced products, often organic. Moreover, all his dishes and desserts are prepared at the Domaine. The emphasis is on plants (vegetables, herbs, flowers, seeds, spices, etc.) and fish, mirroring the gardens and the Mediterranean, these being very essence of the Domaine du Rayol’s identity. A menu that is changed frequently every day, there is a dish of the day, a suggestion, a salad, cocktails and desserts unique to the restaurant and homemade ice creams. Dishes on this varied menu include filet of seabass, with a citrus sauce and seasonal vegetables, or maybe a salade of crudités with a fish mousse, a coulis of basil and tomatoe and rice, or again veal with girolle mushroom sauce, dauphinois potatoes and ratatouille. Let’s try also the tray of dips, hummus, vegetables, crudités and savoury cake. And for dessert, maybe a citron mousse or a panacotta with suller barries sauce… Bon appétit! N.B. 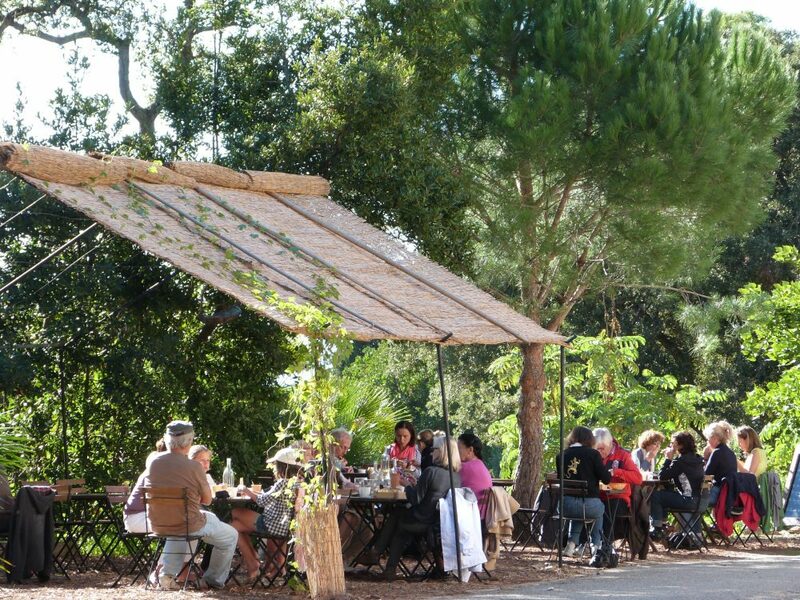 : The Café des Jardiniers restaurant is only accessible to the Domaine du Rayol’s visitors. The restaurant does not take bookings except in the case of groups.